Runtime: 13 Episodes ~ 1hr. ea. 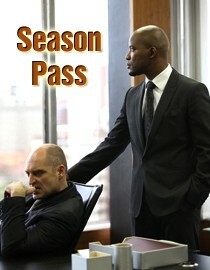 JACOBS CROSS, Season 8; All Episodes. 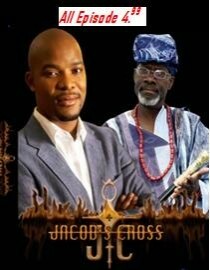 As Jacob is celebrated across Africa for his brave fight against corruption and the wildly successful Abayomi listing on the stock exchange tragedy strikes when Ma Thembi is rushed to hospital where she fights for her life. In Season 8 Jacob finds himself sucked into the shadowy underworld of organ donors and human trafficking when he makes a shocking discovery right under his nose. Determined to shut down the people who trade in desperate and poverty stricken people’s organs he starts to unravel a formidable network stretching far beyond borders and human trafficking alone. As Jacob faces his darkest foe he finds himself falling in love with a fiercely independent and beautiful young medical student whose investigative streak lands her in terrible danger. 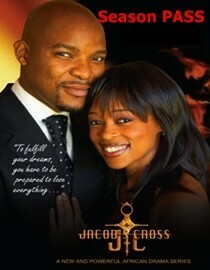 Will Jacob be able to save the two women he loves? Meanwhile Andile is feeling displaced and disconnected as Busi moves their family into the suburbs to get their children a better education. Andile tries to connect with his son who like him is struggling to ‘fit in” and starts to hang with the wrong boys. When Raps becomes increasingly troubled and troublesome, Andile’s reactions serve to drive him away, not bring him closer. Raps begins to develop a drug habit. Bola meanwhile is hell-bent on revenge against those who betrayed him in prison. Adana lies low in hiding, but when Folake discovers Abimbola has a life threatening illness, she is forced to step into the public light. How long will it take before Bola tracks her and Abimbola down? Folake finds herself prepared to risk all, including her reputation as she will do anything to save the life of her nephew Abimbola, who she loves like her own child. Will her marriage to Shy survive? 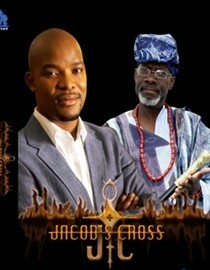 While the super powerful billionaire Ola Coker licks his wounds at having lost a deal to Abayomi, he plots to bring Jacob and Prospero to their knees. Legacy finds itself under attack from this powerful competitor, as a mole is placed in the inner management and one crisis after another besets them.